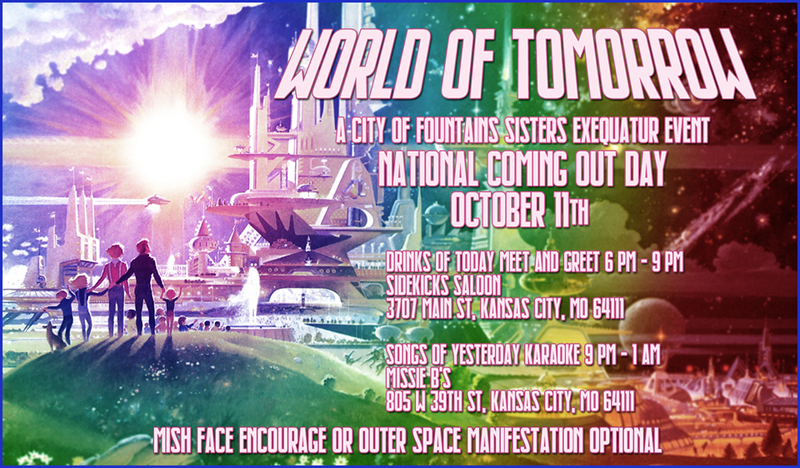 The City of Fountains Sisters salaciously request your presence, as we ascend in our journey of community involvement, charitable giving, and inclusiveness. Beginning with National Coming Out Day on 10/11/18, join us as we come together to share our blessings and experiences with you. Each day will bring exciting adventures and events. Saturday Evening, 10/13/18, will be our Exequatur. The weekend will finally culminate with a farewell brunch on Sunday, 10/14/18, for those still in attendance. Please mark your calendars now! RSVP by clicking here. *Manifestation optional, Mish face encouraged. Full service food/bar available as a lunch option. Admission free, but limited seating. 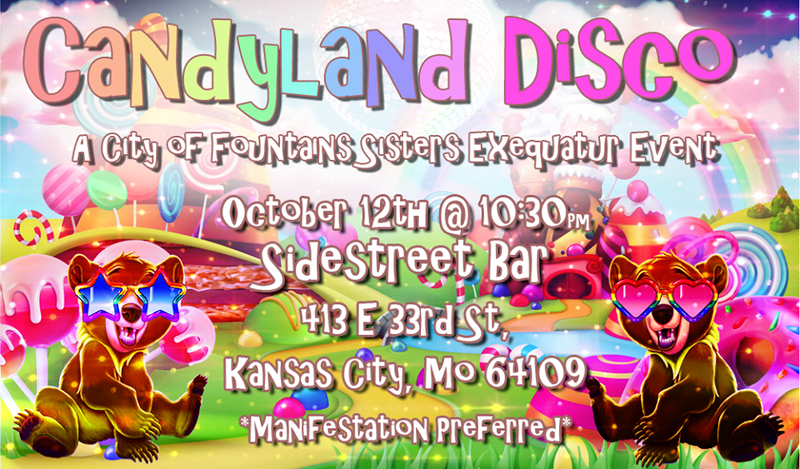 Candyland Disco After Party @ Side Street Bar & Grill from 10:00-? Drink'n N Dance'n @ Missie B's from 11:00-? *Manifested or not... just go home (lol)! Chick here to go to FlannelFly66. ​Order as many as you want! ​Join our event on Facebook.